Available with a maintenance free floor or with out. 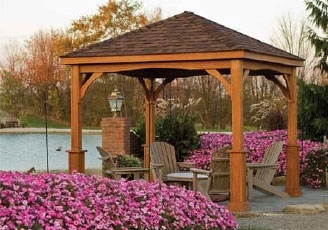 Looks great in the backyard, park, cement or paver patio. 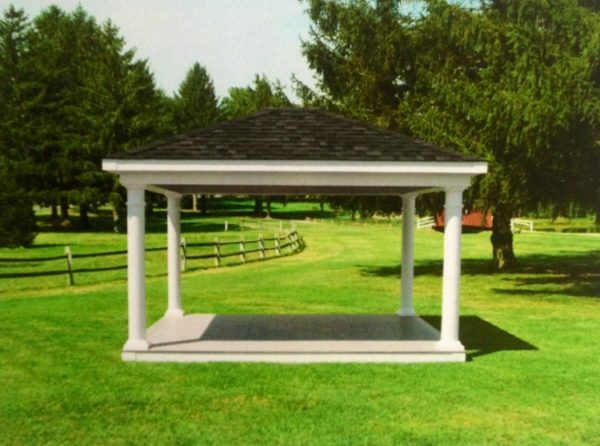 Comes with 6/12 roof pitch, 8″ round or square vinyl columns, double header and architectural shingles. Available 8′,10′, and 12′ wide and comes 8′ up to 20′ long depending on the width you chose.